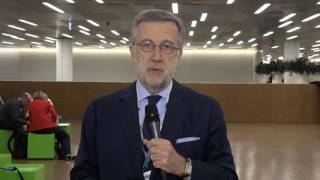 Giorgio Scagliotti, MD, PhD, of the University of Torino, Torino, Italy, discusses the considerable improvement in progression free survival (PFS) in a small subgroup of non-small cell lung cancer (NSCLC) patients on immune checkpoint inhibitors. Pembrolizumab alone seemed to be superior to chemotherapy for high PD-L1 expressing tumors. Bringing attention to insufficient evidence, Dr Scagliotti proposes that a diverse therapeutic portfolio is critical to managing and treating stage 4 disease. 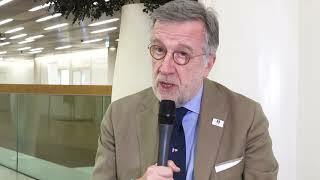 This interview was recorded at the European Society for Medical Oncology (ESMO) 2018 Congress, in Munich, Germany.